Total Day among total viewers (400k vs. MSNBC’s 312k) and in the demo 25-54 (130k vs. MSNBC’s 82k). M-Su Primetime in the demo 25-54 (178k vs. MSNBC’s 124k). M-F Primetime in the key demo rating (171k vs. MSNBC’s 117k). Dayside (9a-4p) in both total viewers (466k vs. MSNBC’s 230k) and the demo 25-54 rating (122k vs. MSNBC’s 43k). CNN ranked #1 in both Weekend Total Day (138k vs. MSNBC’s 114k and Fox News’ 136k) and Weekend Primetime (195k vs. MSNBC’s 144k and Fox’s 150k) in the demo and topped MSNBC in total viewers (Weekend Total Day – 424k vs. MSNBC’s 281k; Weekend Prime – 545k vs. MSNBC’s 344k). CNN Original Series premieres ranked #1 on Sundays and #2 weekdays among 25-54. CNN’s New Day (6-9am) beat Morning Joe for the 10th straight month among 25-54 (107k vs. MSNBC’s 78k), the longest streak since its debut in June 2013. Fox News’ Fox and Friends averaged its lowest weekday morning’s performance in over 13 years (since August 2001) among the demo 25-54 rating. The Lead with Jake Tapper (4pm) ranked #2 in cable news at 4pm, easily topping MSNBC in both total viewers (484k vs. MSNBC’s 305k) and the demo 25-54 (132k vs. 46k). The Lead was also up 14% this month, while MSNBC’s Now with Alex Wagner lost -47% of its audience in the demo. 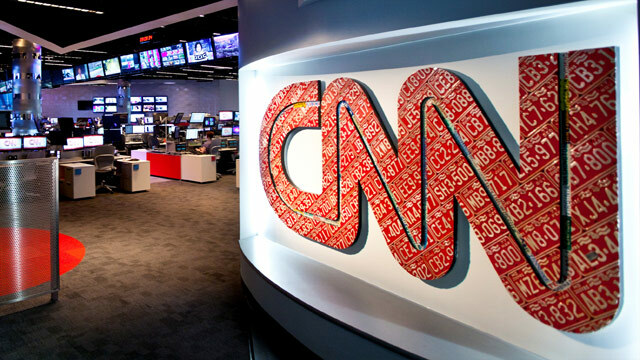 CNN Newsroom with Poppy Harlow ranked #1 on Saturdays during the 3-6pm hours in the demo 25-54. The premiere of Weed 3: The Marijuana Revolution reported by Dr. Sanjay Gupta ranked #1 in the demo (310k) across cable news in its time period, outperforming the combined delivery of Fox News (206k) and MSNBC (98k). It was up from Live to Live+3 viewing by +8% in the demo (310k vs. 288k). Anthony Bourdain Parts Unknown Season 5 premiere (Korea; Sun 4/26/15, 9p-10p) delivered 301k among adults 25-54 and 572k in total viewers among Live+SD. Korea was the 2nd highest-rated Parts Unknown season premiere episode to-date among 25-54 (after the Punjab Season 3 premiere). Across cable news in its time period, ranked #1 in 25-54 and #2 in total viewers. Ahead of both MSNBC (+66%; 181k) and Fox News (+77%; 170k) by double-digit percentages among 25-54. Beat MSNBC (384k) by +49% in total viewers. Mike Rowe’s Somebody’s Gotta Do It has averaged 288k among 25-54 and 651k in total viewers over its three Thursday 9-10p premieres to-date (4/9-4/23/15) in Season 2. Across cable news in its time period, ranks #2 in 25-54. Beats MSNBC’s Rachel Maddow Show by +77% among 25-54 (163k). Up from Live to Most Current viewing by +49% among the demo (288k vs. 193k) and +41% in total viewers (651k vs. 462k). Above the prior-to-launch four Thursday time period average by +64% in 25-54 (176k) and +31% in total viewers (497k), the largest growth among cable news in the hour in both demos. High Profits has averaged 252k among 25-54, 527k in total viewers, and 118k 18-34 over its two Sunday 10-11p premieres to-date (4/19-4/26/15) in Season 1. Of the 19 CNN Original Series season premieres to-date*, the High Profits series premiere was the 2nd highest-rated in P18-34 (132k) among Live+SD (after the Somebody’s Gotta Do It Season 1 premiere). Across cable news in its time period, ranks #1 in both 25-54 and 18-34, and #2 in total viewers. Outperforms the combined 18-34 delivery of Fox News (11k) and MSNBC (60k), delivering nearly 11 times FXN’s audience (+973%) and almost twice MSNBC’s audience (+97%). Up from Live to Most Current viewing by +22% among demo (252k vs. 206k) and +20% in total viewers (527k vs. 441k). Finding Jesus: Faith, Fact, Forgery averaged 358k among 25-54 and 1,066m in total viewers over its six Sunday 9p-10p premieres (3/1-4/5/15) in Season 1. Ranked #1 across cable news in its time period among both the demo 25-54 and total viewers, outperforming the combined delivery of Fox News and MSNBC in both demos. Every premiere episode of Finding Jesus also ranked #1 across cable news in its time period among both demo and total viewers. Up from Live to Live+7 viewing by +37% among 25-54 (358k vs. 262k) and +31% in total viewers (1,066k vs. 813k). The Wonder List with Bill Weir averaged 222k among 25-54 and 589k in total viewers over its eight Sunday premieres (3/1-4/12/15) in Season 1. Ranked #1 in the demo 25-54 across cable news in its time period, and finished #2 in total viewers. Up from Live to Live+7 viewing by +22% among 25-54 (222k vs. 182k) and +21% among total viewers (589k vs. 485k).